There seems to be some confusion about having a printed roster vs a printed "OFFICIAL" roster. Using just a print of your teams pages roster will not work. 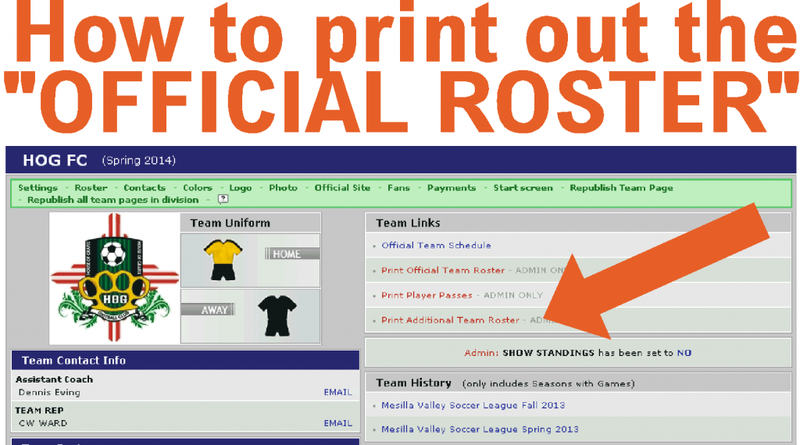 Your team rep MUST use the "Print Additional Team Roster" or "Print Official Team Roster" from their account.